On October 16th, a group of our female LAWS students took part in Trailblazers: Meeting Women in Law. This annual event, run as a partnership between LEAF (the Women's Legal Education & Action Fund), LAWS and OJEN, allowed our students to interact with female legal professionals. This included participation in the LEAF Person's Day breakfast at the Royal York Hotel, and an intimate question and answer session with keynote speaker the Right Honourable Michaëlle Jean. Students also visited the Court of Appeal for Ontario, the Law Society of Upper Canada, and the Faculty of Law at the University of Toronto where they met with female law students and talked about accessing law school. Finally, students visited downtown law firms, meeting and talking with female lawyers. 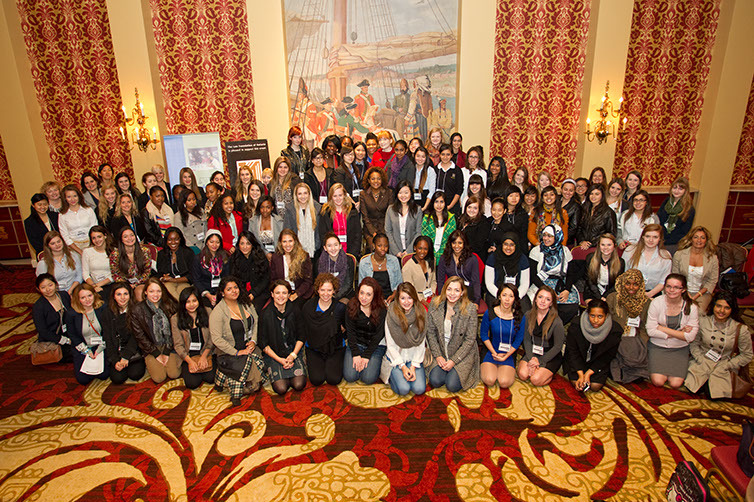 The students really enjoyed the event and we look forward to inspiring more young women next year.